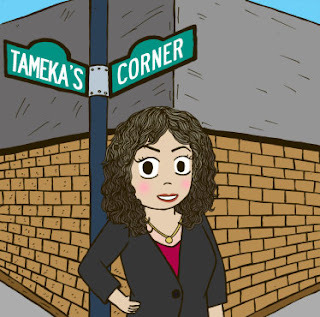 Welcome to Tameka's Corner, the Ultimate Travel & Lifestyle Blog!! How exciting!! I am so happy that you are here and joining me for this roller coaster ride of an adventure into the world of Business, Travel, Beauty, and Family!! They say that the definition of a corner is: a place or angle where two or more sides or edges meet. This blog will be like NO OTHER!! I will dish on all of the good, the bad, and the ugly when it comes to everything related to my corner of the world! ~ and survival tips on navigating the ups and downs of blended family life!! I am so happy that you have chosen to join me for the ride!! Grab a snack and get cozy in my corner of the world!! Don't you LOVE our new avatar!! ?